We always wanted to draw the portrait of our clients and let them go public. For this purpose, we open up the series of blog posts called The Talk with the Customer. We can’t organize a chat in a cozy studio somewhere in downtown Minsk, because our clients are quite international and live in different corners of the world. Nevertheless, all interviews will be conducted in a brief and informal way. The first person I (I.T.) will talk to is Magali Buaillon (M.B. ), a web developer in a French web agency that helps customers improve their websites. The agency has purchased Guestbook extension from BelVG and installed it on Automatic Center webstore, a specialist in garage doors and portals automation. This is the page with Guestbook, running on it. M.B. I’m glad to have this conversation with you. My English is very French :) , but I hope everything will be ok.
I.T. I’m pretty sure it will. Let’s refer to Guestbook extension. What are the main advantages of it? M.B. 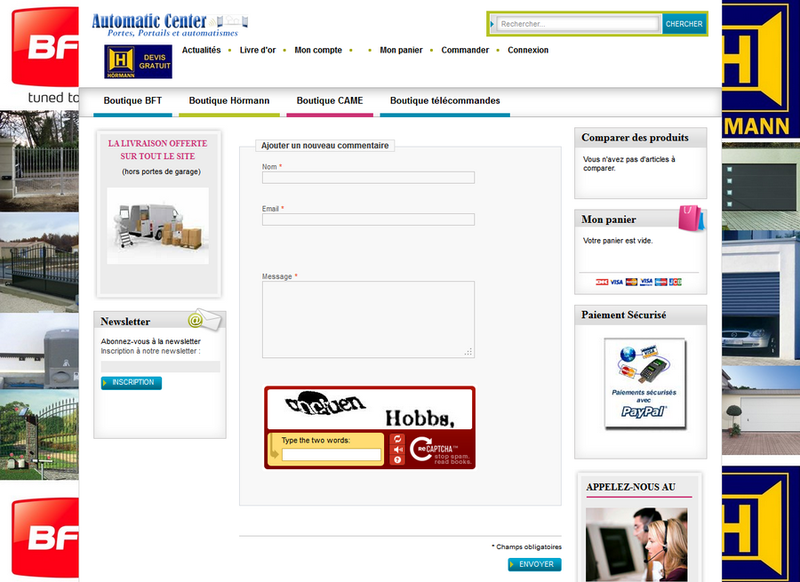 The customers can use Guestbook to express their opinion about the products, the order process, the website. It is easy to install, easy to use. BelVG team is efficient when we experience some problem. I.T. What upgrades would you like to see in future Guestbook versions? M.B. All seems fine now. Maybe, it would be a good idea to think of possible interactions with other extensions that also use Recaptcha. I.T. Is it your first time in dealing with BelVG company? How did you know about us and would you like to continue cooperating with us? M.B. Yes, it was our first time. We have found BelVG company while searching extensions in Magento Connect. We would continue cooperating with BelVG and recommend them to others. I.T. Thanks for answering these questions. We very appreciate your time spent on them. Take care!